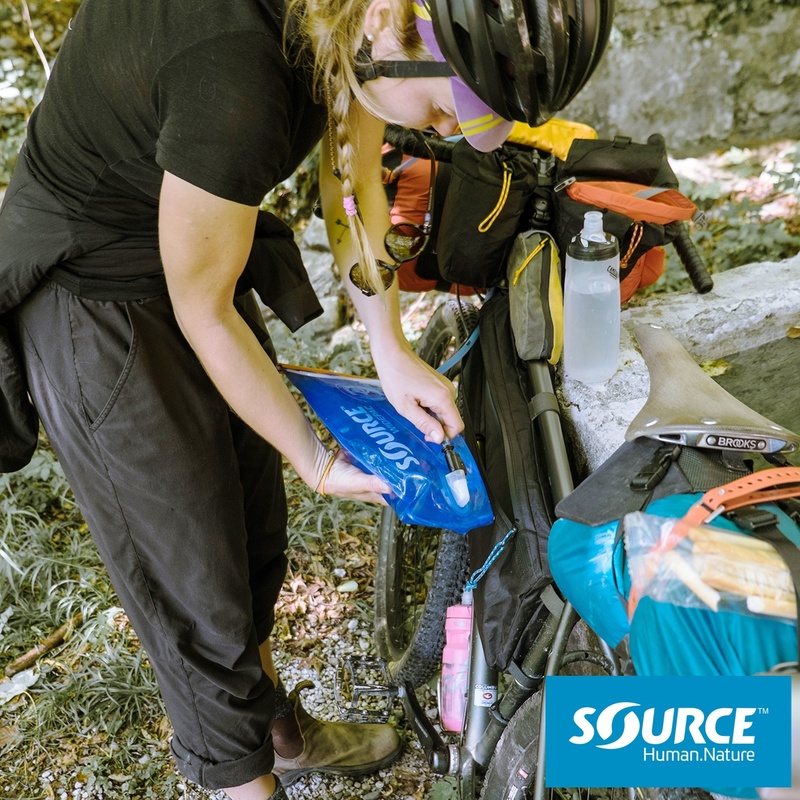 Recently we supplied Biker Neza Peterca with SOURCE Hydration Systems and Sandals for her latest Bikepacking trip through Slovenia. As her trip report shows (read here), the crucial ingredient to a happy and fun trip is the weather. But whatever weather you ride in, your gear will save the day or amplify your problems. Here is Nezas tips on Hydration and Footwear for Bikepacking. Hydration system instead of classical cycling water bottles? It is very important to carry enough water on your bike at all times, especially when riding in remote places, where you are not sure about the quality of the water and when your next chance for refill will be. Carrying lots of water doesn’t mean just extra weight on your bike, but also finding extra space on your bike for water storage. Bikepacking is usually identified by how the bike is packed, and it’s common that the bags are applied directly on the bicycle frame, leaving little space for water storage. After using Source hydration system on our recent bikepacking trip I realized it is the most space saving and the simplest solution for bike travel. I carry my hydration pack in my frame bag, where there is still lot’s of space for other essentials. The drinking tube comes out at my handlebar and it’s long enough that I can drink during riding and don’t have to stop for every single sip of water, which you usually have to do with normal water bottles, due to the weight of the bicycle. It is a must to bring two pairs of footwear on your bike tour. Why? You never know what can happen along the way, you can loose one shoe, one of the pairs is soaking wet, they fall apart, get stolen and other possible scenarios. And if you are planning your tour in the summer, one of the pair should probably be sandals and not just for taking a shower in common bathrooms! Sandals have to have a thick stiff sole, which offer support to your feet, and you are able to use the pedal power evenly. 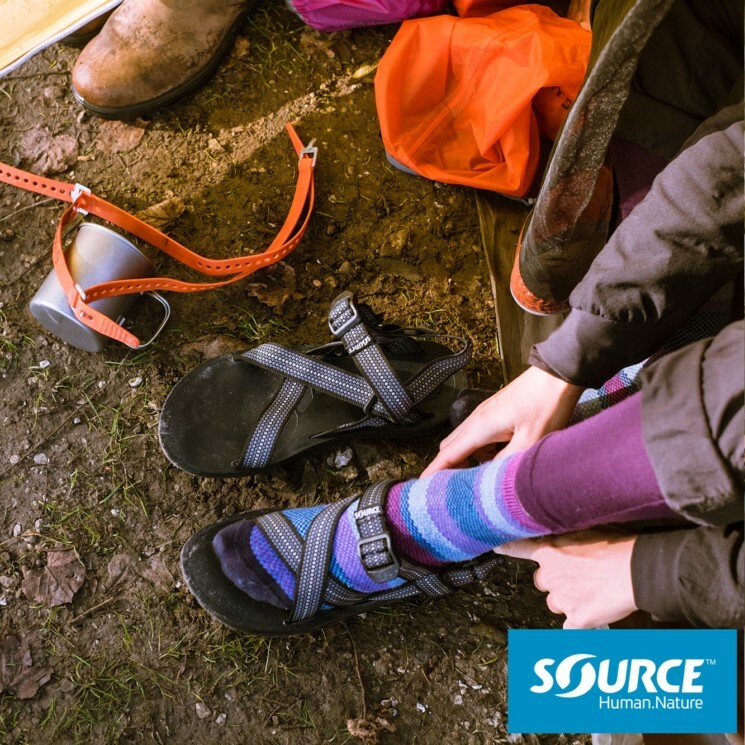 It is also important, that your feet is safely secured in the sandal and it doesn’t allow any movement, even when raining. When it get’s a bit cooler, you can always put socks on, but still allow your feet to breathe. On the tour I used the Crosser sandals, which don’t include any velcro closure, but close with a Onestrap system with adjustable buckle. They are really easy to be fitted on your fit, the straps dry quickly and the sole is as comfortable as you would be actually riding in your shoes!